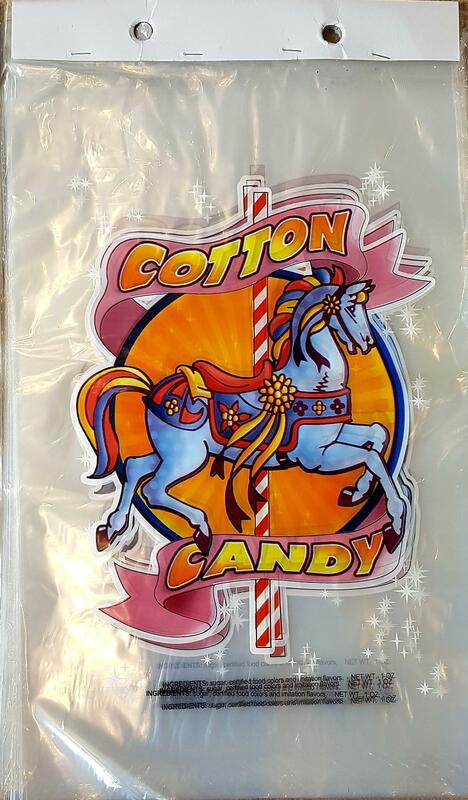 USA Style Carousel Design Cotton Candy, Candy Floss Bags, Eye catching multicolour printed design. Good quality USA made candyfloss bags on header strips of 50 bags for ease of use. Slightly larger than standard UK candyfloss bags, measuring approx. 12"x18".